How would you like to escape the dreary UK winter and catch some Florida sun with a cheap December Florida holiday? Fly to Orlando, jump in your hire car and drive straight to your hotel in Lake Buena Vista. Spend two weeks of the festive season enjoying the best of Orlando’s attractions and entertainment. Experience a magical Christmas at Disney World and Universal Studios; special events start after Thanksgiving and run throughout December. With festive fun for the whole family, the atmosphere at this time of year is truly wonderful. Our cheap December Orlando holidays start at £765 per person, based on a family of four adults and two children. If you have different requirements, get in touch. We can put together a great-value Orlando package to suit you. Can you leave before 10th December? Some of the cheapest seats of the year are available on these dates. There’s no need to fly indirect – direct flights are excellent value. Fares between 10th–13th December are still good value, even on direct flights. 14th–24th December is high season. There are still some decent fares on direct flights, but for best value choose an indirect flight. 25th–27th December is a shoulder season. Flight prices are decent value but certainly not the cheapest of the month. 28th December onwards is low season. Even the fares on direct flights are great value. If possible, fly mid-week (ideally on Tuesday or Wednesday). Weekend fares incur a supplement and demand is higher. Indirect flights are best value on peak dates. One change en route adds a couple of hours to the journey time, but the savings can be substantial. Heathrow has the most departures to Florida; a cheap December Orlando holiday is possible on peak dates if you depart from Heathrow mid‑week. Manchester, Glasgow and Edinburgh also have good-value fares on indirect flights. We usually achieve excellent value on flights to Orlando International. Occasionally, Tampa Airport is more economical. The drive to your accommodation may take a little longer, but the savings could be worthwhile. What are you expecting to pay for your December Florida flights? Fares of over £700 per person are common. Book early, follow the advice above and you could purchase December flights for as little as £400 per adult and £300 per child. Book your cheap December Orlando flights with a deposit of £100 per person. ATOL and ABTA protected. We achieve excellent value without compromising on quality; we book our Florida flights with major airlines including Virgin, BA and United. Flights are released 11 months before departure – however, we don’t always book the seats immediately. We achieve cheap December Florida holidays by monitoring fares and booking seats at the best possible moment. It’s not worth trying to save money on car hire – Hertz, Dollar, Budget, Avis and Alamo all compete to offer the best price. We book when one of the suppliers is on sale. Treat the family to an SUV or a convertible without paying a fortune. We don’t try to economise on car hire insurance. For your peace of mind, we book full insurance as standard. Additional drivers can be added to the package for a small supplement. This cheap December Florida holiday includes a fully-insured 7-seat minivan. Pick up the van at the airport on arrival; drop off on departure. We don’t compromise on Florida accommodation – we only book with reputable hotels and resorts. We achieve value by monitoring hotel prices and booking at the best moment. The earlier you book, the more time we have to find a room at a great price. 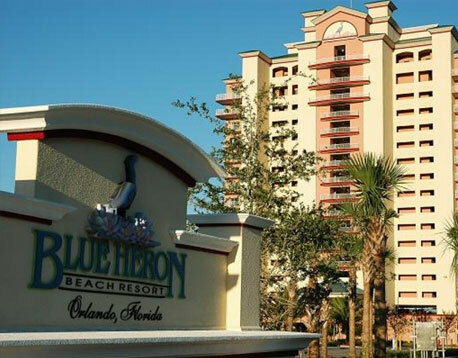 This cheap December Orlando holiday includes a 2-bedroom apartment in the Blue Heron Beach Resort at Lake Buena Vista. This wonderful resort is perfect for families and has excellent reviews on TripAdvisor. The apartment includes the usual amenities; living room, bathroom, kitchen, washing machine, dishwasher, Wi-Fi and TV. 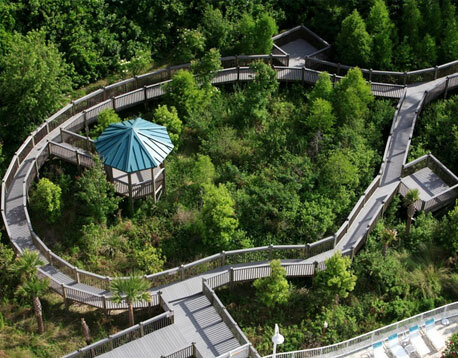 The hotel has an outdoor pool, children’s swimming area, gym and 24-hour reception. 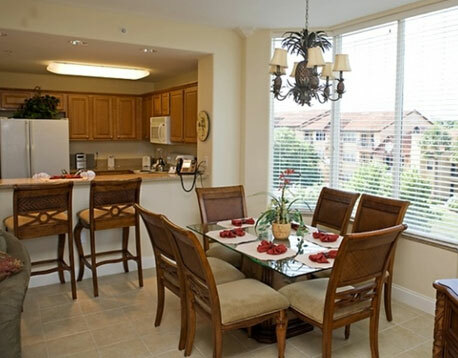 The location is ideal – Disney World is within walking distance. Shops, restaurants and entertainment are close by. 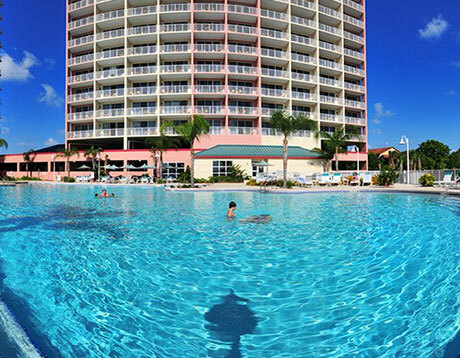 We think the Blue Heron Beach Resort is a fabulous place to spend a Christmas Florida holiday. If you’d prefer to stay elsewhere, let us know – we can put together a cheap December Florida holiday package to suit you. Celebrate Christmas at Disney World with Mickey's Very Merry Christmas Party, featuring parades, music, dancing, fireworks and entertainment throughout the festive season. Or perhaps the kids would prefer Universal’s Christmas in The Wizarding World of Harry Potter™ – the Hogwarts light show is truly spectacular. Whichever you prefer, we can add attraction tickets to your booking at any time with no further deposit. We can beat the price you can find on any website – contact us today for the latest prices. In order to give you the best value we need time to monitor flight, hotel and car-hire prices. The earlier you book, the better chance you have of achieving a cheap Orlando holiday in December. Book in advance with a deposit of £100 per person. The balance is due 90 days before departure, allowing you plenty of time to save. This cheap December Florida holiday is available from £765 per person, based on a family of four adults and two children. The holiday includes Orlando flights, two weeks at the Blue Heron Beach resort and fully-insured minivan hire. If you have different requirements, get in touch. Call us on 01934 319 851 or complete our online enquiry form. All of our cheap December Orlando holidays are ATOL and ABTA protected. If you’re travelling on a budget, this cheap July Florida holiday might be just the ticket. 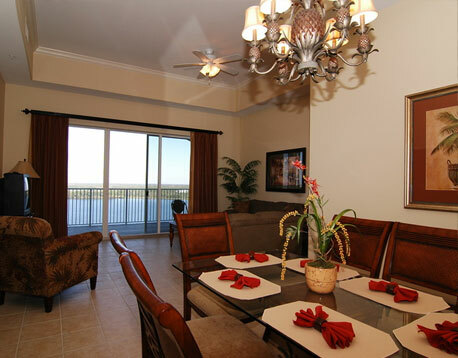 Fly to Orlando and enjoy two weeks in a Davenport villa. Explore Florida with a fully-insured hire car. All from just £895 per person. ABTA and ATOL protected. You needn’t pay a fortune for a summer getaway. Experience the holiday of a lifetime at a fantastic price with our cheap August Florida holiday. Fly to Orlando, pick up your hire car and spend two weeks at Homewood Suites Universal Orlando. Prices start at £975 per person. Book now with ATOL and ABTA protection. Planning on visiting Florida for Christmas 2020, but not sure where to stay? Why not start planning at our December 2020 Florida flights page. Discover the best travel dates and departure airports. Learn how to save money on your Florida flights - even when you stay over the Christmas and New Year period. Advance book your December 2020 Florida flights now.